These are lyrics by Whitesnake that we think are kind of repetitive. 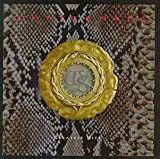 Whitesnake's, "Here I Go Again"
Boring! Not to mention repetitve and having absoultely nothing to do with the video.